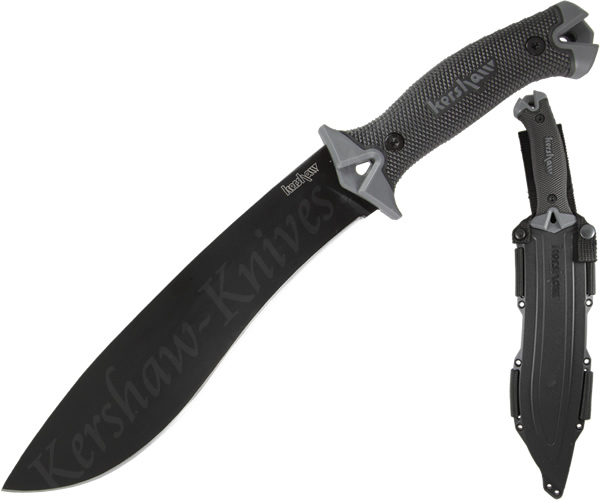 The Kershaw Camp 10 knife model 1077 is a full tang knife/machete hybrid that has a 10 inch Kukri style blade. The blade material is carbon steel, and the overall length of the knife is 16 inches. To be more specific, the type of carbon steel the Camp 10 is made of is very hard like the kind of carbon steel that chisels are made of. 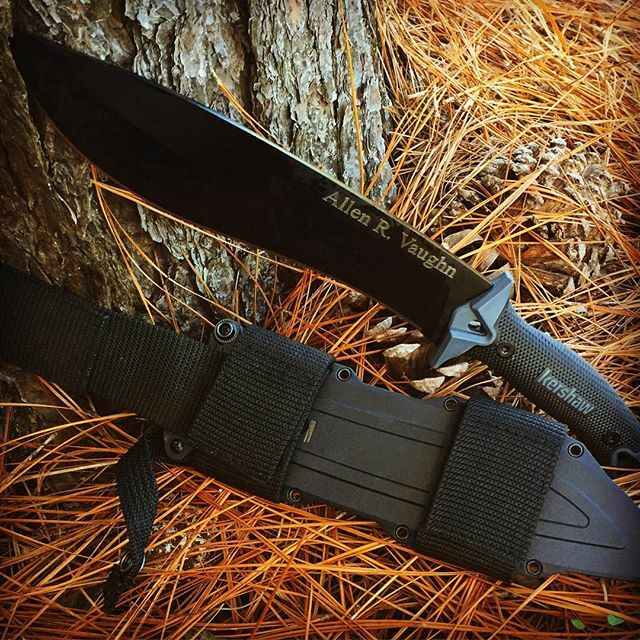 We tested this knife at a camp ground and it performed nicely, as detailed in the video below. What you will really like about the camp 10 knife is making kindling and chopping brush. The knife is so strong that if you get it stuck in the wood, simply pry it out. It can withstand a lot of force, and you do not need to worry so much about bending it. 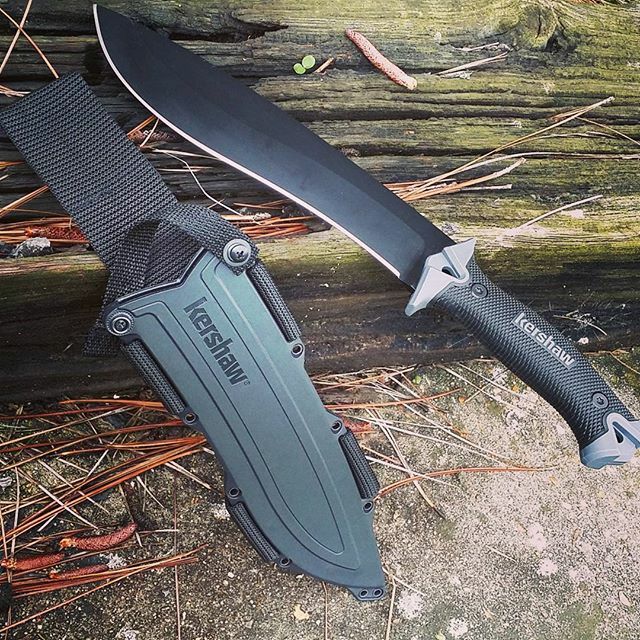 Another cool feature of the Kershaw Camp 10 is that it comes with a low profile sheath that literally fits it like a glove. The knife stores easy and will last a long time in your camping equipment.